Found, categorized, repaired. Replaced, renewed and invented. 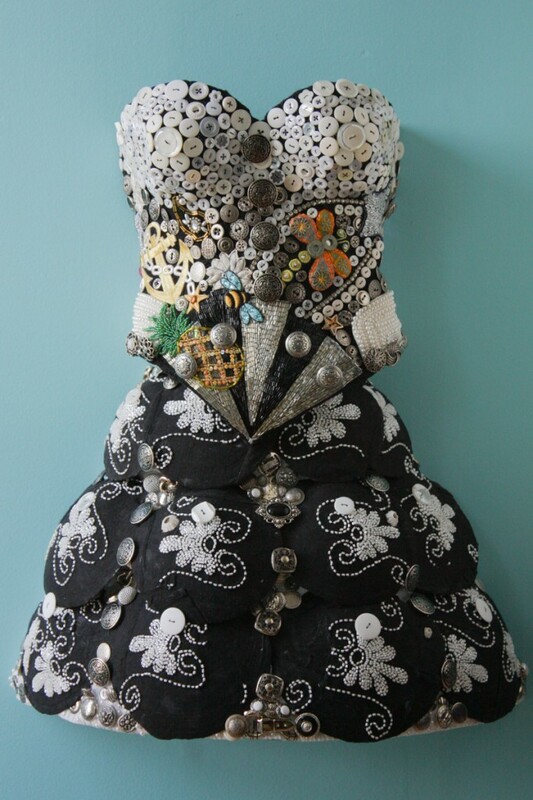 This piece is made from years of collecting and organizing small bits that have been rescued from the edges of the trash bin. 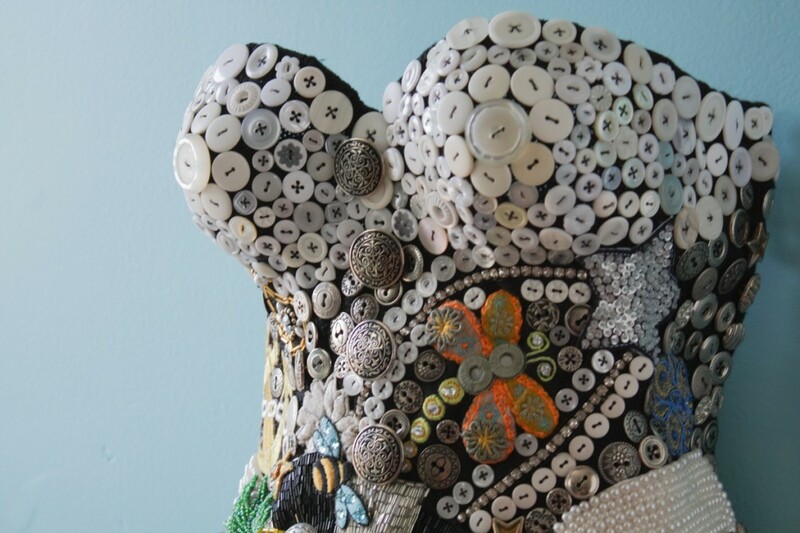 The dress has become the repository for these bits, bridging multiple ideas and preserving these pieces of history.